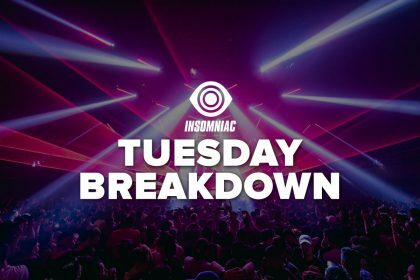 Even before we first unearthed NuKid’s sub-knockin’ G-house sound during the 2016 Discovery Project competition for Nocturnal Wonderland, the L.A. native preferred to let his music do the talking. The laser focus he commits to his productions also exists in his social media presence, which sees him only ever touching on the music itself. His production style offers a glimpse into the ‘90s G-funk era with a splash of heavy-metal-inspired energy done with a modern twist. From the first whir of the bass, you can feel that NuKid energy jumping out from the speakers. 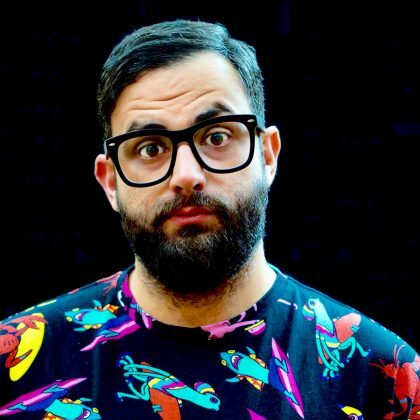 When the full low-end slap hits at around the one and a half minute mark, it becomes evident why NuKid has caught the ears of artists like Pusha T, Tchami, Maala, and Laidback Luke. His slick bassline programming sticks and moves like a world-class fighter in the ring. We caught up with NuKid to find out what he’s been up to since the last release he dropped on the Discovery Project imprint. NuKid’s “In the Hood” is available here. You scored some international dates last year. How does it feel to take your music to such distant places, such as Vietnam and Australia? Truly, it was a lot of work getting to this point, and the journey has been incredible. I have enjoyed every show I’ve played from country to country, each bringing a new and exciting experience. It allows me to see the impact music can have worldwide and how the scene is expanding, while bringing people together. What’s been the most exciting part of traveling in the last year? The most exciting part of traveling is being able to meet and connect with people from different places with the same interest of music. Every city brings its own energy, and my favorite part is seeing how they respond to my performance. You’re a ‘90s hip-hop fan, but how do you compare that era with the hip-hop of today? Today, hip-hop is not as real or serious as it was back then. In general, hip-hop is centered on things that are fake and simply unimportant to society as a whole. Nowadays, lyrical content is all the same; people don’t care anymore what rappers are rapping about. I have no problem with a lot of the new stuff being put out today… This new form of rapping has opened the doors to other styles of rap music that we never thought were possible for the genre. And at the end of the day, hip-hop will always be hip-hop. You played HARD last year, an event known for bringing the best in both hip-hop and dance. Why is it important that events like this exist? I love what’s happening now between dance music and hip-hop. The combination of the two is nothing new to me. I’m just happy to see hip-hop artists start to embrace the collabs. Hip-hop is about a message, and I think to make sure the message is heard, it has to be put in a package that can be received and understood by more than just the hip-hop community. 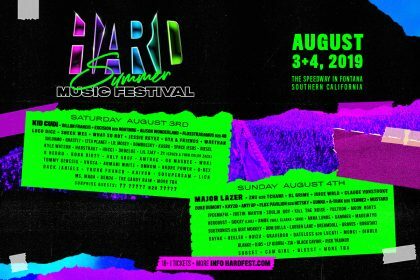 Music is all about expressing how the world feels and sounds, so festivals that integrate these elements (like HARD Summer) are important when it comes to bringing the two communities together. The amount of new fans it’s continued to create has been unreal. You’ve had both major label and indie releases. Do you take a different approach to your music depending on where it’s being placed? The music I create comes from within me and from what I’m feeling at the moment; I don’t take a different approach to try to conform to a certain label’s liking. I just do me and submit my tracks to places where I find suitable—I believe they end up where they are meant to be. It’s been two years since you won Discovery Project. Looking back, how did that affect the trajectory of your career? Winning Discovery Project in 2016 definitely helped me gain more of a widespread fan base. People may not have been into G-house because they didn’t really know about it, and Discovery Project helps different genres and styles be known. I believe that winning DP is a good opportunity for upcoming producers to show what they’ve got.